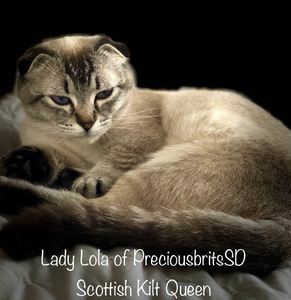 Lady Lola is truly one of a kind, She is most adorable Scottish Kilt Queen. The only one among all the Brits. Major news: Lady Lola is pregnant again! 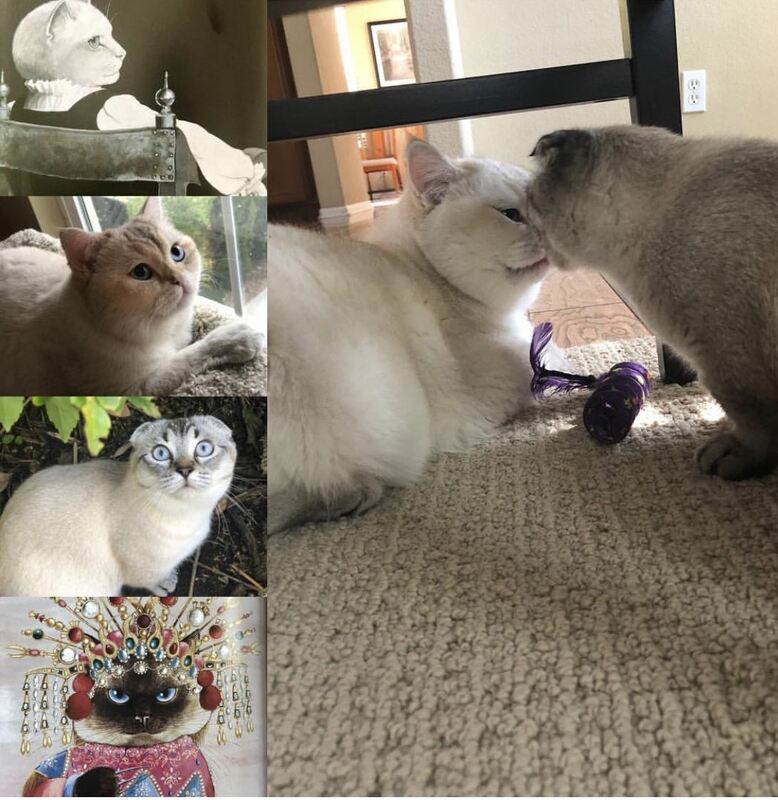 Expected arrival of kittens: March 2019. 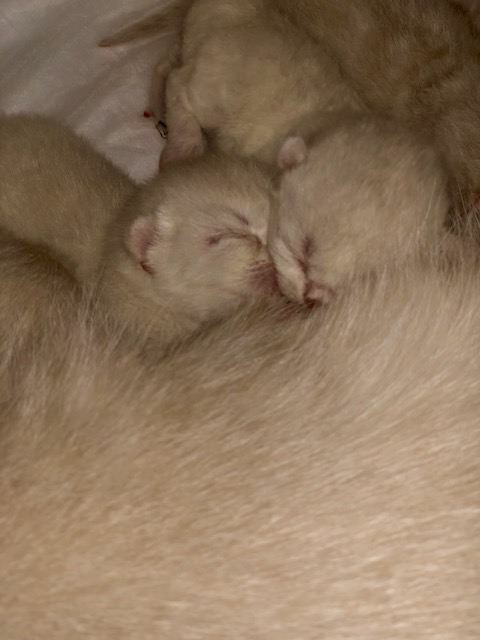 By popular demand, father of the kittens - PreciousbritsSD Zephyr. 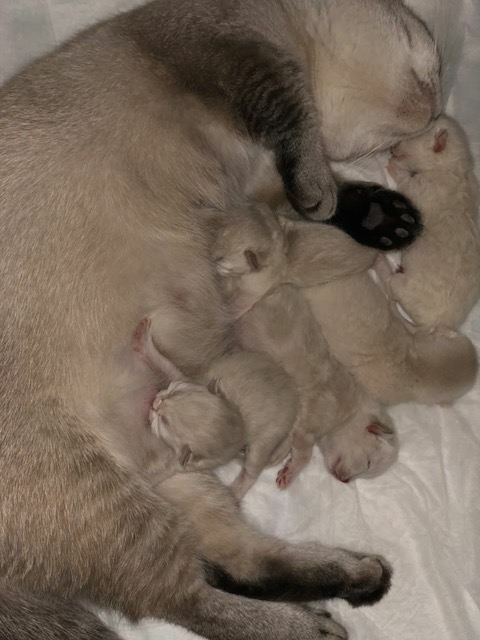 On October 9th 2018 Lola gave a birth to a litter of 5 kittens. The proud father was Zephyr of PreciousbrirsSD. We were concerned about the Scottish Kilt genetics and that is why determined that this combination will be the best for future litters of kittens. Now we know how this genetic combination will work. 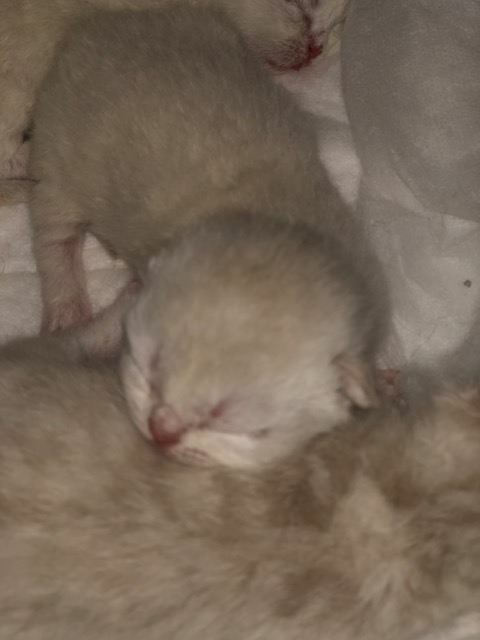 Resent update: New litter was born on March 13th 2019! 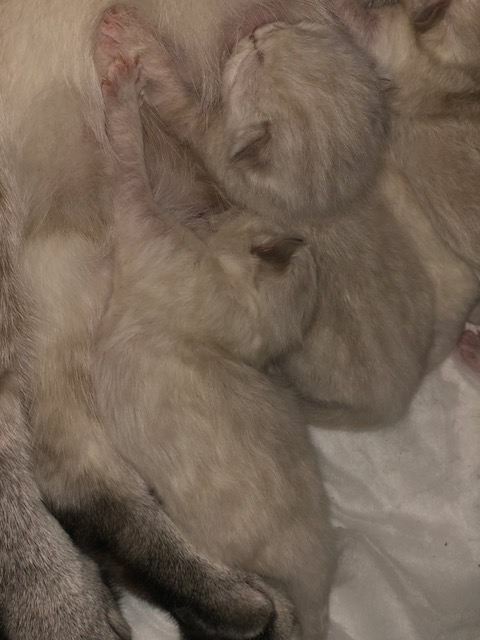 4 beautiful kittens look very similar to the previous litter, All are just adorable, will be soon opening their huge sky blue eyes. Amazing, is not it?